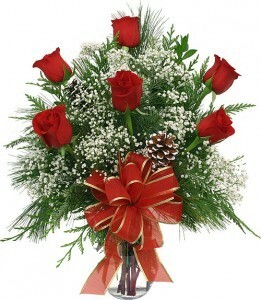 Affordable vase arrangement of six long-stemmed red roses with baby's breath, holiday greens and lively red bow. 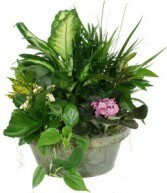 Fantastic combination of several assorted green plants rooted in soil, presented in an attractive container with at least one added flowering plant. Featuring an excellent combination of popular fresh fruit with some delicious cheeses and bottles of spring water or mineral water. A refreshing, healthy gift that will surely be enjoyed.